Dogs can do such silly, funny things! 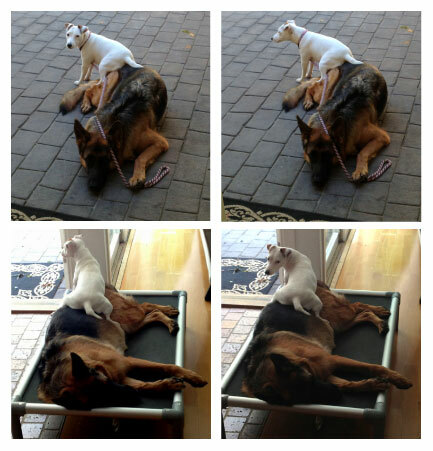 Our Jack Russell puppy, Lily, absolutely loves to sit on her big sister Indigo. We are so lucky that Indigo is tolerant and gentle and just goes with it. Hard not to laugh out loud when we see it, which happens to be several times a day! Such joy they bring to our lives every day ... and laughter. What silly funny things does your dog(s) do?